The concepts of checkpoints, of the United Nations’ failure to help civilians, etc. [These] are concepts that are ubiquitous to the Middle East and to the past events in Bosnia...’ If SC MoCha’s communication gives you the impression that his crew are more politically engaged than many in the music world, you are right. 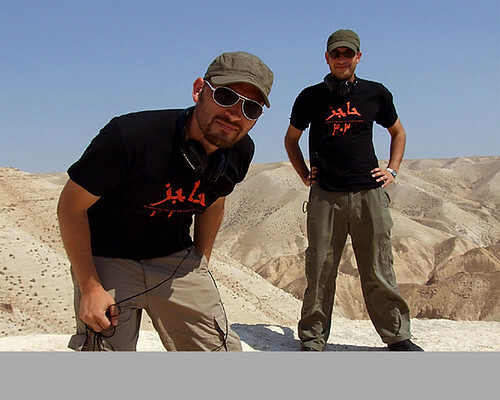 The duo’s name is inspired by a physical checkpoint – number 300 – between Bethlehem and Jerusalem: MoCha and his co-founder, the Palestinian-born Sound Catcher Yosh, changed the number to 303 as a nod towards the ‘numerical symmetry present in electronic music’. In creating a virtual checkpoint, they have, says MoCha, made ‘an artistic act of resistance’. 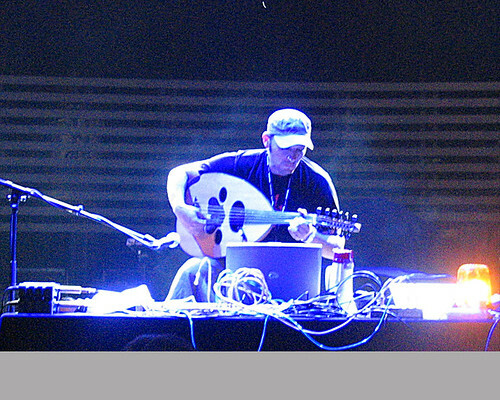 Yosh, MoCha and international collaborators such as Miss K Sushi, Cheikh Julio, Mehdi Douss, Visual Hacker Diddy and Melski add beats and instruments to their tracks (hell, they have to have some fun), but the method of their bricolage owes more to experimental music than any thing else. 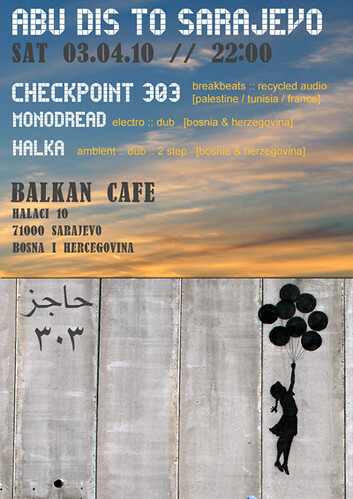 Checkpoint 303 refer to their work as ‘free tunes from the Occupied Territories’. And they are free: anyone can visit the Checkpoint’s site and thrill to some of the blistering political music to come out of anywhere. Just turn up at the band’s website and tune in.